Those of you who “like” my Facebook page know that a few days ago, Santa came early and gave me a present. That present was an ice cream maker. Until now, I’ve never made ice cream. Crazy, right? Yeah, I think so too…especially after having the two flavors I’ve made in the past two days. Deeeee-lish. My Dad (who, by the way, is Santa in this scenario) has been making it for a long time, so I never felt the need to make my own. Man, this thing is gonna be dangerous in my house. Not to mention, the requests have been pouring in…get in line, people! Being the good wifey that I am, Frank’s favorite came first. This isn’t my normal go-to flavor (I wouldn’t even say it’s in my top ten) but WOW. Just wow. In a medium saucepan set over medium-low heat, whisk together the milk, cream, half of the sugar, salt, and vanilla. Bring the mixture just to a boil. While the milk/cream mixture is heating, combine the yolks and remaining sugar in a medium bowl. Using a hand mixer on low speed or a whisk, beat until mixture is pale and thick. Once the milk/cream mixture has come to a slight boil, whisk about 1/3 of the hot mixture into the yolk/sugar mixture. Add another third of the mixture, then return the combined mixture to the saucepan. Using a wooden spoon, stir the mixture constantly over low heat until it thickens slightly and coats the back of the spoon (this mixture must NOT boil or the yolks will overcook – the process should only take a few minutes). Pour the mixture through a fine mesh strainer. Bring the ice cream base to room temperature. Cover and refrigerate 1 to 2 hours, or overnight. Turn on the ice cream maker; pour the mixture into the frozen freezer bowl and let mix until thickened, about 20 minutes. When the ice cream is almost fully churned, gradually add the crushed cookies through the top of the ice cream maker; let mix until fully combined. The ice cream will have a soft, creamy texture. This entry was posted in chocolate, dessert, freezer friendly, ice cream. Bookmark the permalink. Mmmmm…iiiice creeaam! I love ice cream…and cookies…so this looks divine!! I love homemade ice cream! 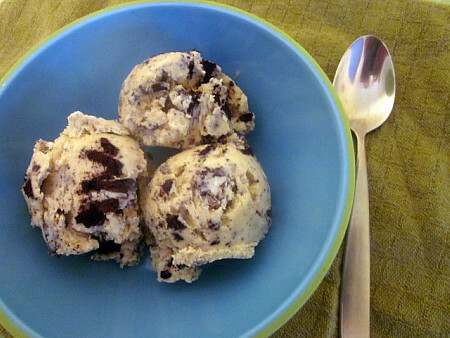 Cookies & Cream is one of my favorites too – looks delicious! Oh yum! I am totally adding this to my ice creams to try. Cookies & Cream is my favorite. I love making cookies and cream ice cream! 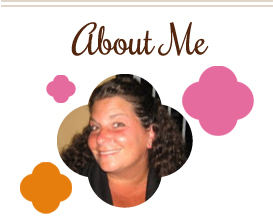 Thank you for joining Katie’s Cucina Virtual Ice Cream Social!